We offer both a premium line of sheet pans as well as an economy line. All of our pans are quality certified by Sasa Demarle, Inc. We offer pans with and without perforations and in many different shapes and sizes. We can also customize any pan to meet your specific needs. This section is still under development - complete product information will be added soon. Thank you for your patience! 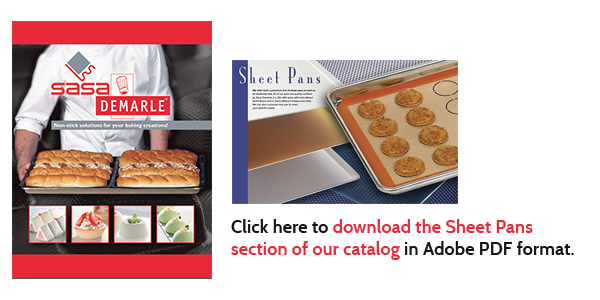 In the meantime, please click on the link below to view the SHEET PANS section of our new catalog in PDF format.